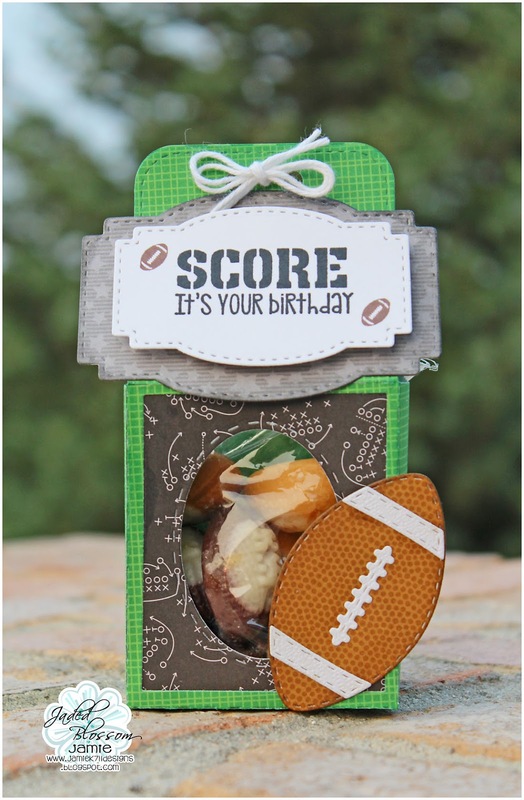 I found these cute football shaped candies and had to make a treat with them, so I filled up a 3x4 bag with them and added them inside the Gable Box Die. I used the insert to cut a hold in the front of the gable box and then added the black print paper with a Stitched Oval inside the box for the window. I stamped the sentiment and footballs to the Label Shape Dies and added it to the top. Then finished it off with the football from Sports Dies and a twine bow! This is adorable I love it!! Perfect for football! !